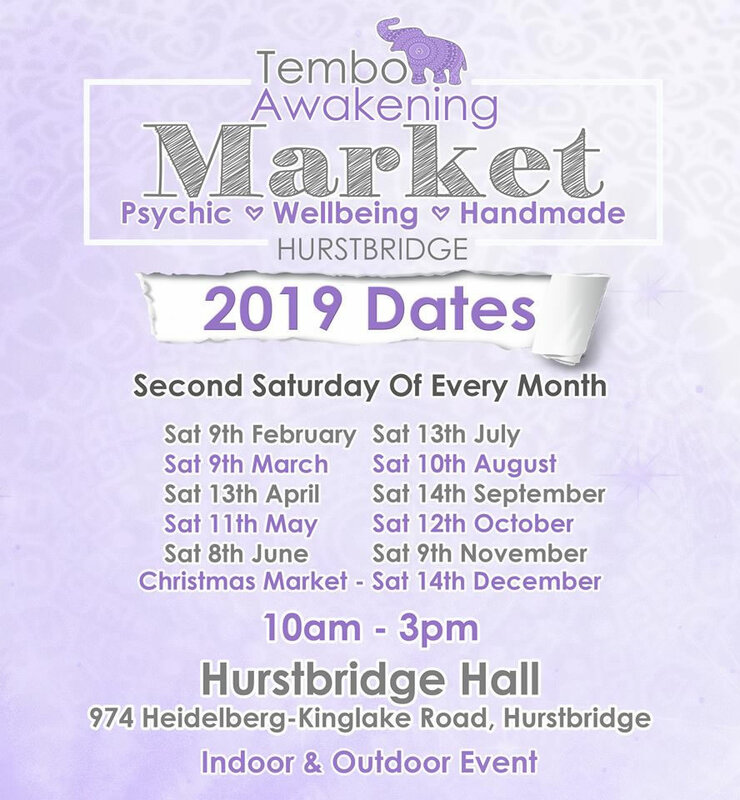 Come down and check out this fresh new market in the beautiful town of Hurstbridge, with gorgeous local cafes, walking tracks and just an amazing vibe! FREE ENTRY! INDOOR & OUTDOOR MARKET! If you are looking for guidance, healing or relaxation then this is the market for you!! From psychic readings, healings, holistic and spiritual products, books, crystals, jewellery, art and so much more. The intention is for you to walk away feeling uplifted and inspired. At each market will be supporting an animal rescue! The animal rescue will be offered a FREE Stall to promote their rescue, sell any products they may have and bring an animal or 2 for adoption. At each market we will hold a raffle, were all funds raised will be donated to the rescue on the day! Our goal is to help these rescue get the word out about what they do and assist them in helping saving as many animals as they can! There will be FREE Workshops held throughout the day at 11.30am, 12.30pm and 1.30pm! There is also delicious food available for purchase and a coffee van for hot and cold drinks.